Summertime is a great time to check on things that you can't check on as easily during the winter. 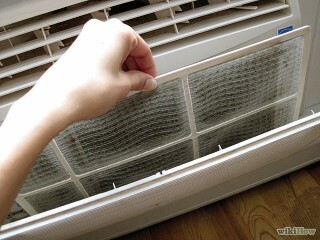 If you have an air-conditioner, make sure it's in healthy working condition. Make sure the fan is functioning, the coils are clean and the wiring doesn't appear faulty. Go a step further and take the time to check and change the filter too. Window and door weather-stripping should be examined and replaced if necessary. This will ensure that you are cooler in the summer and warmer in the winter. Additionally, check any cracked windows or rotting trim. It’s important to take a moment to look around and take inventory of your home. I know it's hard to give up a weekend to attend to these issues, but your home will thank you and so will your wallet. Did you know that your fans should be going counter clockwise and turned off when you are not in the room? This helps conserve energy. Another great way to lower your energy bill is to turn down your water heater for the summer season and to cook outside at every opportunity, to avoid using appliances that will heat up your home. Also, using blinds or shades helps to keep your home cool during the day. If your home has a water filtration system, go ahead and change that filter too! Could your home use a good old fashion power wash? Go for it, because summer is the season! Take a look at your deck and patio areas, are there any tripping hazards? Are the railings still secure? Shore up any problems. How well is your home insulated? Summertime is the perfect time to add any insulation, so that you can be nice and warm in the winter, which as we all know, comes way too soon. Now that you have checked everything off your home summer list – go enjoy and soak up the sun! Amy Krikken works at Better Homes and Gardens/Masiello - Where she loves to help her clients buy and sell real estate all across the state. Call her for any/all of your real estate questions/needs at 207-317-1338. Email at abkrikken@gmail.com.